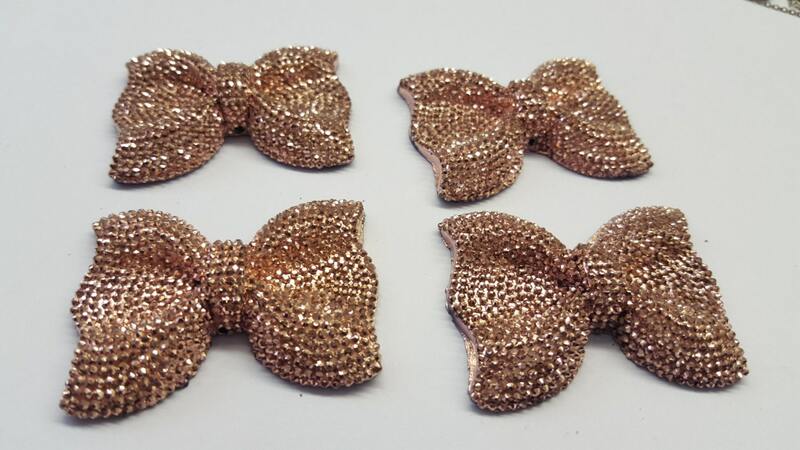 Flat back 'Bow Shaped' embellishments are Ideal for decorating many items including mobile phone cases, shoes, clothes, scrapbooks, greeting cards and various craft projects. 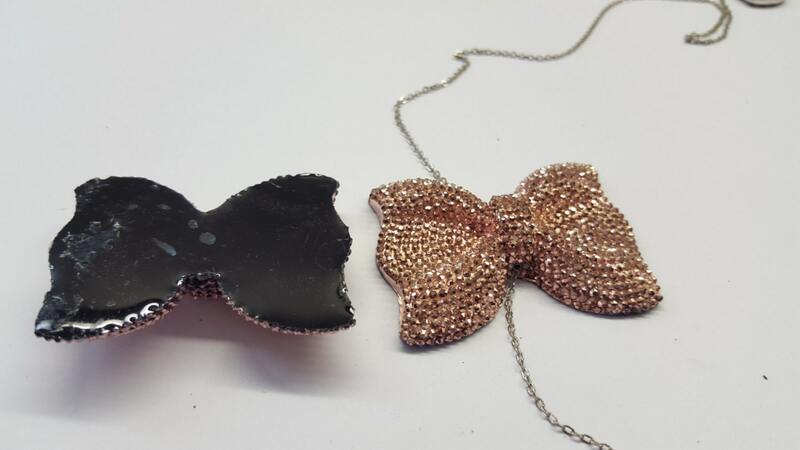 These bows can also be used to make jewellery such as bracelets or necklaces as they have a 2mm hole on them. The chain shown in the images is not included.